Face panels at our manufacturing plant in Page, Arizona. Individual panel sections are secured to the steel framework. 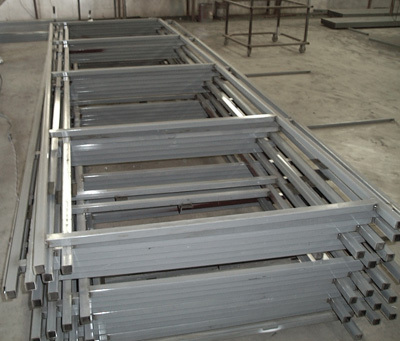 This partially completed face panel assembly shows the 1 1/4" square tubing framework on the 4-foot steel panels. 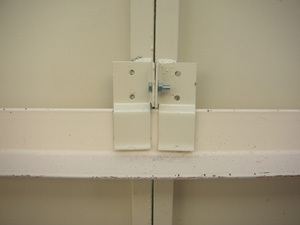 Rugged clips fasten the face panel sections together to provide a strong and stable assembly. 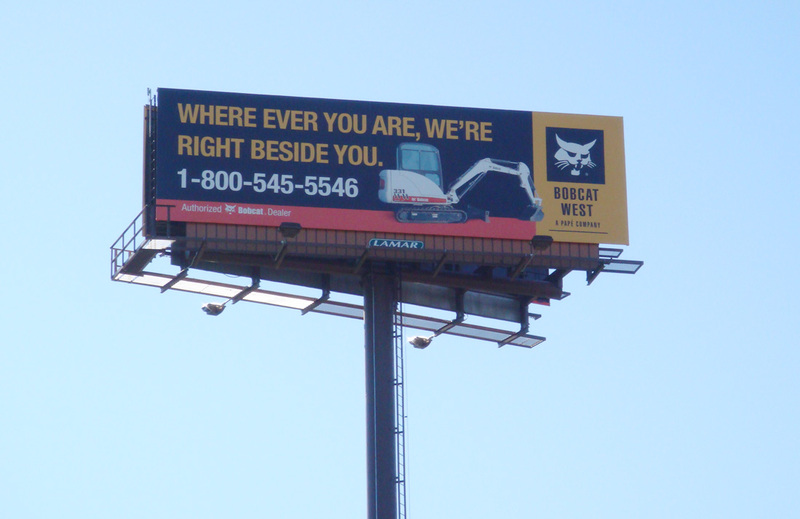 We custom build high-quality steel face panels for new outdoor advertising structures and to replace worn face panels on older billboards. We also build a variety of custom metal clips to attach the face panels. 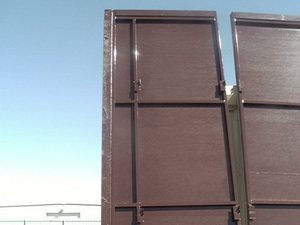 We design and build our face panels to handle the wind and weather in states around the country. Our face panels are on boards in Oregon, Georgia, Ohio, Texas and other states from coast to coast. 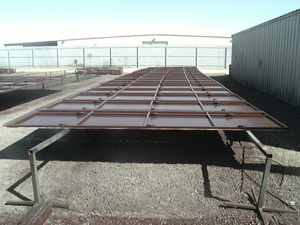 Our steel frames are built at our plant in Page, Arizona using high-quality steel to support face panels strong enough to withstand extreme wind and weather conditions. 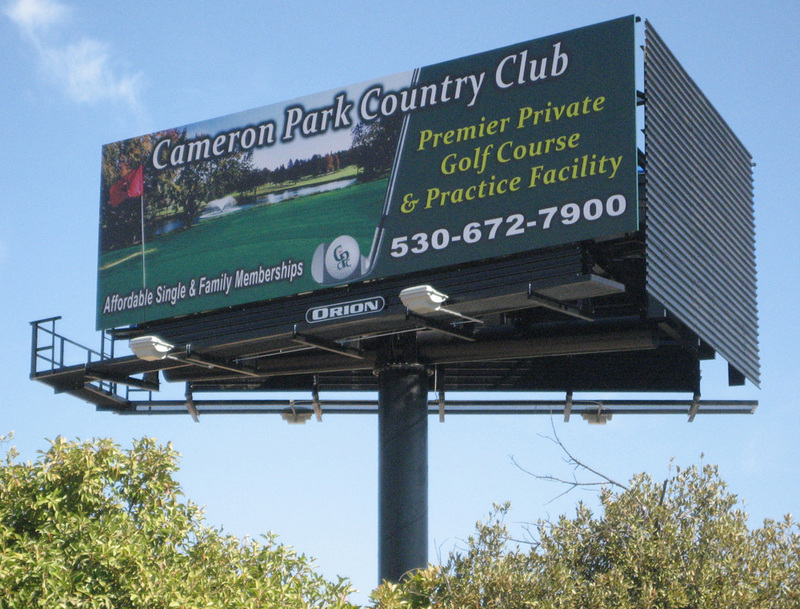 This telescoping column board is one of the many outdoor advertising structures in Oregon that uses our face panels. 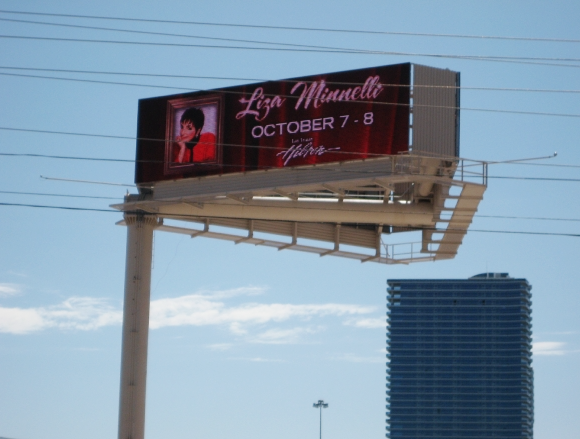 This is one of many boards in Las Vegas, Nevada with face panels from Quality Billboards, Inc.
Our face panels give this California billboard the endurance to keep the board looking modern and new. Copyright © 2016 Quality Billboards. All Rights Reserved.